Why did you start playing softball? Initially, I wanted to play tennis or soccer, but I was too young. 2010 --- In January, Noémi makes her comeback in the Dutch National Team as a guest-player and participates (playing for Team Orange) in the International Indoor Cup in Schiedam (Netherlands) with her team winning first place. Due to a bruised thumb, Noémi can play only one day --- In August, Noémi participates in the Cup Winners Cup Tournament in Haarlem (Netherlands) with Sparks Haarlem, which wins the Cup after a come-from-behind victory in the last inning, scoring six runs to win 7-6 --- In the regular season, Noémi hits .391, which is second best of Sparks Haarlem, while scoring 18 runs and having 20 RBI's in 26 games --- Noémi hits two homeruns to share first place in the league with Karin Tuk and Chantal Versluis --- After completion of the season, Noémi announces her retirement to focus entirely on her study to become an airline-pilot. 2009 --- Towards the end of March, Noémi decides to withdraw from the National Team for this season and will play only for Sparks Haarlem --- In August, Noémi participates with Sparks Haarlem in the CupWinners Cup Tournament in Parma (Italy) --- In the regular season, Noémi batted .258, scored 13 runs and collected 19 runs batted in. 2008 --- Triples and scores on February 22 in the game vs. Providence College during the first American Tour with the national team, which is part of the preparations for the Olympic Games in Beijing --- On March 2, Noémi is 2-for-3 and scores twice in the first game vs. Chaminade University of Honolulu --- In the second game vs. Chaminade, Noémi hits two singles, scores twice and has three RBI's --- On March 6, Noémi is 3-for-4 with a double and has three RBI's in the game vs. the University of Washington during the Malihini Kipa Aloha Tournament in Honolulu --- The next day, she is 3-for-3, including a triple, in the game vs. the University of Hawaii --- During the second American Tour, Noémi singles to load the bases in a 6-4 loss in the first game vs. Akron Racers --- The next day, she singles again in the second confrontation with the Racers --- On July 13, Noémi is 2-for-3, including a double, and scores once in the third game of the Holland Tour vs. the Holland All Stars --- On July 14, Noémi is one of the 15 players to be named to the roster for the Olympic Games --- In the opening game of the Tri-Nation Tournament during the Japan Tour, Noémi reaches base once in the 5-0 loss vs. Canada --- On August 12, Noémi makes her Olympic debut when she enters the opening game of the Olympic Games vs. host China as a pinch-hitter --- On August 18, in the last game of the Olympics, Noémi singles in the first run vs. Chinese Taipei, which leads to a 4-2 victory --- In the regular season with Sparks Haarlem, Noémi has the second highest average of her team with .337 and has 14 RBI's. With Sparks, she participates in the CupWinners Cup-tournament in Italy in September --- On December 11, Noémi is one of 28 players being named to the preliminary roster of the Dutch National Team for 2009 and is invited to start practice in January. 2007 --- On May 30, Noémi triples and scores in an 11-0 shutout-win against Austria during the European Championships in Amsterdam (Netherlands) --- On June 2, she goes 3-for-3 and scores a run in 6-0 shutout-win vs. Russia to reach the final of this event, which eventually is won by Italy --- On June 9, Noémi scores three runs vs. Slowakia in the opening game of the Olympic Qualifying Tournament in Italy, which is won 14-0 --- On June 13, Noémi triples and homers, scores once and has four RBI's in the 12-1 victory against Croatia --- In the final of the Olympic Qualifier, on June 16, in Rochi Dei Legionari, Noémi singles in the tying run (1-1) in the second inning against Italy. The Dutch team went on to win 3-2 in eight innings and qualified for the Olympic Games in Beijing (China) --- In the regular season with Sparks Haarlem, Noémi this year bats .379 (second best of the team), scores 24 runs and has a team-leading 22 RBI's, sharing this category-lead with Jolanda Kroesen. 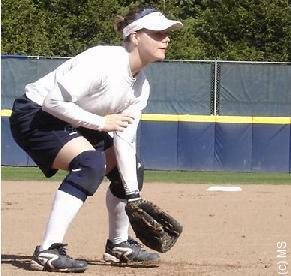 Noémi is second best in the team with 39 basehits. For the second time, she makes no errors in the entire season, in which she had 141 Total Chances, playing as catcher, third base and short stop. With Sparks Haarlem, she reaches the Holland Series again, but this time has to settle for second place --- Playing at their home site, Sparks finishes in third place in the European Cup Tournament --- After the season ends, Noémi is awarded the Egbert van der Sluis Memorial Trophy for best Dutch national team-player under 23 and earns a nomination for the MVP Award. 2006 --- Noémi makes her first appearance on a World Championship, as she is one of the players on the Dutch National Softball Team on the event in Beijing (China) --- In the regular season, Noémi bats .308, while playing for Sparks Haarlem. She scores 22 runs and has 11 RBI's. Again, her team wins the Dutch championship --- Earlier in the year, in Bollate (Italy), Sparks again finishes in second place on the European Cup Tournament. 2005 --- Noémi is a member of the Dutch National Team, which finishes in third place on the European Championships in Prague (Czech Republic) --- In the regular season, her first with Sparks Haarlem, together with Kim Kluijskens, Noémi is the leading hitter with Sparks Haarlem, batting .400 with eight RBI's and one homerun. With Sparks Haarlem, Noémi reaches the Holland Series and her teams wins the Dutch championship. Defensively, she makes no errors, having 60 Total Chances --- With Sparks, Noémi for the first time plays on an European Cup Tournament in Macerata (Italy) and finishes in second place. 2004 --- On June 1, Noémi makes her debut in the National Team, playing against the Czech Republic in the Coppa BSC Legnano Amga Tournament in Legnano (Italy). In her first-ever at bat, she hits a double --- Later in the year, on July 29, during the ISF Prague Cup in Prague (Czech Repulic), Noémi hits three singles in a game against the national team of Chinese Taipei --- During the World University Games in Plant City, Florida (USA) in October, Noémi singles in the winning run in the eighth inning in a 3-2 victory against China --- As a player of Amsterdam Pirates, Noémi makes her debut in the Dutch Major League. In her first season, she leds the team with a .388 batting average, 19 RBI's and one homerun, meaning she wins the Triple Crown. She scores 12 runs and also leads the team with four stolen bases. 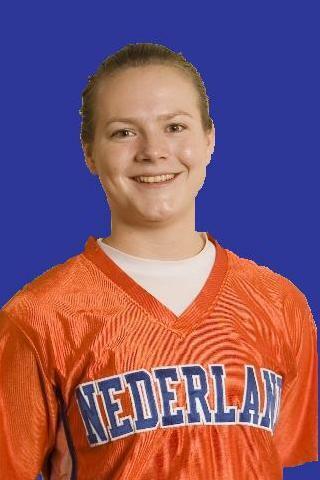 2003 --- Noémi wins the Bep van Beijmerwerdt Trophy for Best Dutch Youth Player. 2002 --- With the Dutch National Junior Team, which finishes in fourth place, Noémi participates in the European Championships in Chocen (Czech Republic). NOÉMI is the daughter of Bert and Felice Boekel and has two sisters, Fabiënne and Christianne. Copyright Photos © 2008-2013 Ron Wicklert (head shot/bottom action photo) / Marco Stoovelaar (top action photo). 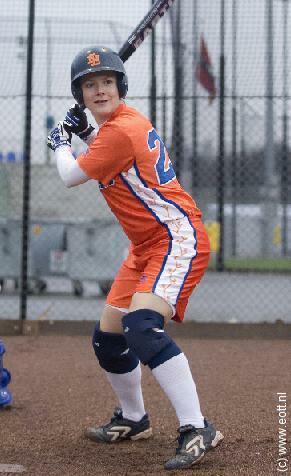 Copyright Site © 2008-2013 Marco Stoovelaar / Dutch Women Softball Teams. All Rights Reserved.